These 2-Ingredient chocolate pumpkin muffins, mini muffins, and cookies made with just chocolate cake mix and a can of pumpkin are a lighter, healthier way to satisfy a sweet tooth. And did I mention how easy they are? 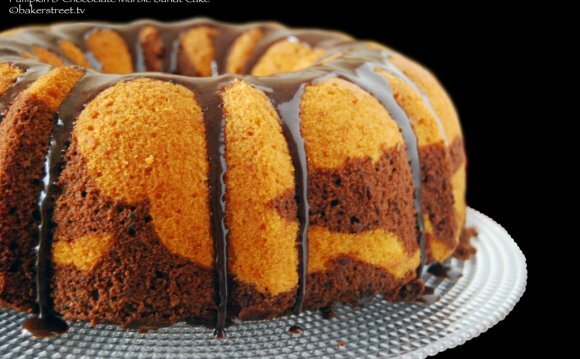 Just stir together a can of pumpkin and box of dry cake mix and bake! I first learned of these skinny sweet treats in one of my Weight Watchers meetings when a member asked how many PointsPlus values there were in the muffins made from cake mix and canned pumpkin. I hadn’t heard of them and had no idea so suggested she could use her PointsPlus calculator to figure it out from the nutritional labels on the two ingredients and/or do a Google search. Which to make, muffins or cookies? I decided to stir the two ingredients together and make a few muffins, mini muffins and cookies from it. Canned pumpkin is really good for you too. It’s packed with fiber and vitamins and naturally low in fat. The points plus value depends on the size of the muffins/cookies you make. If you make 12 muffins, each one will have 5 PointsPlus. If you make smallish 24 muffins, each one will have 2 PointsPlus. If you make 36 mini muffins or cookies, you can have three for 5 PointsPlus. So many options to consider. Enjoy! 2 Ingredient Chocolate Pumpkin muffins, mini muffins or cookies - the choice is yours. cookies!